Shoei RF-1200 Vessel Helmet The pinnacle of perfection, the RF-1200 represents the culmination of 56 years of helmet heritage and has been designed, from its inception, to be an industry leader in comfort, performance and protection. The wind tunnel tested shell has been optimized to provide a compact and aerodynamic shape, reducing wind-noise, buffeting and weight. 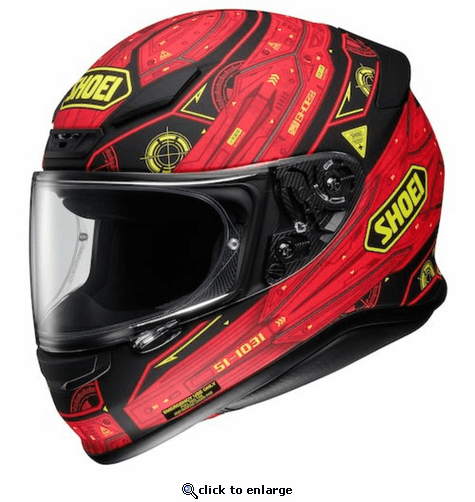 Shoei has not only designed the RF-1200 to be one of the most comfortable helmets on the market, but also one of the safest, meeting both DOT and SNELL M2015 safety standards.